God save the (new) Queen. The acclaimed Netflix drama series The Crown has secured its new Queen Elizabeth in Olivia Colman, who will replace Emmy-nominated actress Claire Foy in the role (via The Hollywood Reporter). Colman will take the reins for the lead role in the series' third and fourth seasons (though Netflix hasn't issued an official order for those installments just yet), as Foy was only on board to portray the young Queen Elizabeth in the first two seasons. Last year, Netflix chief content officer Ted Sarandos explained that the period drama will run for six seasons, following the Queen's entire life story. This is going to take Queen Elizabeth from age 29 to, presumably, the current day. We'll see it lay out over decades," he stated. "The idea is to do this over six decades, in six seasons presumably, and make the whole show over eight to 10 years." It's expected that every two seasons, new cast members will fill the major roles, reflecting the years that have gone by. Foy opened up about leaving the series, for which she earned a Golden Globe award earlier this year. "I'm quite philosophical about these things, and I think the amazing thing about the show is the fact that it will go on and that it hasn't ended badly. It'll go on and have another life," Foy told THR. "I can't wait to watch it, and I just think whoever they get to play that part, they'll be extraordinary. I will never watch it with any sense of bitterness or regret. I will feel what I will feel now, which is so happy and lucky for the experience." Fans may recognize Colman from her work in Broadchurch, Hot Fuzz, Fleabag, The Lobster, and The Night Manager. She will next appear in the Kenneth Branagh-directed mystery film Murder on the Orient Express, which also stars Daisy Ridley, Penélope Cruz, Willem Dafoe, Judi Dench, Johnny Depp, Josh Gad, Derek Jacobi, Leslie Odom Jr., and Michelle Pfeiffer. 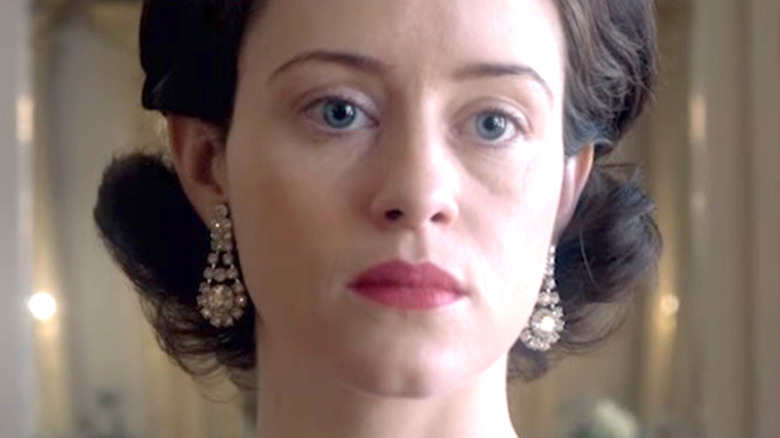 Before Colman takes the crown, Foy will reprise the role as Queen in the series forthcoming second season, which will hit Netflix in December 8. Matt Smith (Prince Philip), Vanessa Kirby (Princess Margaret), Jeremy Northam (Antony Eden), Victoria Hamilton (the Queen Mother), Matthew Goode (Lord Snowdon), and Michael C. Hall (John F. Kennedy) will appear alongside Foy in the new batch of episodes.